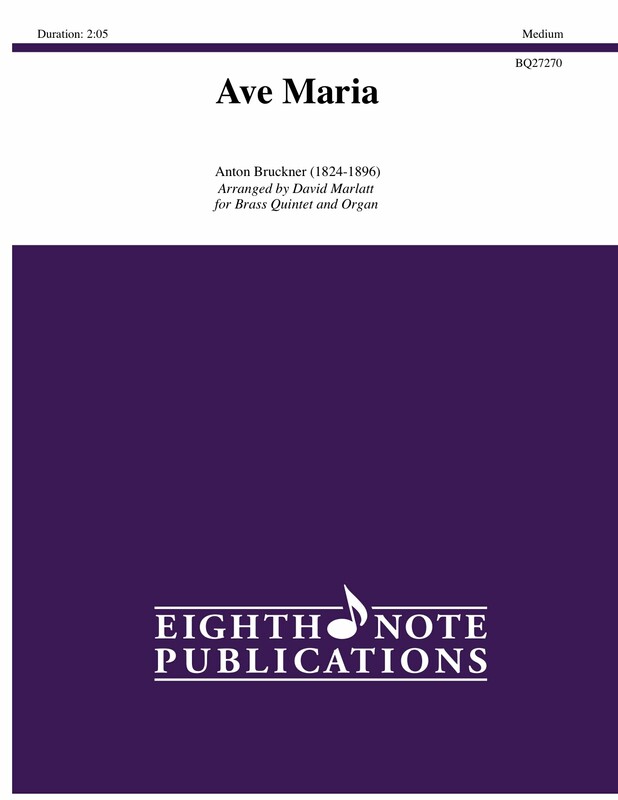 This is the most popular and often performed setting by Bruckner. When this work was written Bruckner had just finished a five year course of contrapuntal study during which he was forbidden to write any free compositions. With this restriction lifted, he wrote this simple yet powerful motet. It has been arranged here for quintet and organ.